Connecticut is home to some of the most beautiful homes, scenic landscapes, and alluring cities. It is one of the best states to live in! However, Connecticut is also home to some common house pests. With the winter climate, these pests are even more likely to be found inside your home, as they are looking to seek shelter from the cold weather. Once inside, these pests can damage the interior of your home, and they also pose a health threat to you, your family, and your pets. Knowing how to deal with these pests, and ultimately how to keep them out of your home is important. Here are 6 common house pests in Connecticut, and what you can do to keep them outside where they belong. 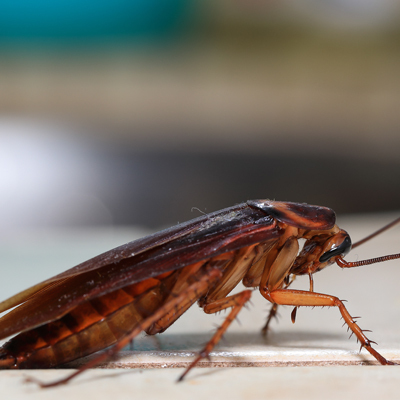 The biggest problem with cockroaches is once they’re inside your home they will multiply faster than any other pest. It essentially takes no time and you have an infestation on your hands. The roaches saliva, shredded skeleton, and droppings can cause serious allergic reactions, especially in young kids and the elderly. Along with the allergens, they carry a lot of diseases, like Salmonellosis, Typhoid fever, and Cholera. If you see even just one single cockroach, act fast! Because ticks and fleas do not overwinter, they need to find a host to ensure survival through the winter months. As a result, your pets are even bigger targets during winter for these pests. Once inside your home, they (fleas, especially) will reproduce and become an extreme nuisance and health risk for both you and your pet. If you find either in your home, thoroughly clean any area your pet has recently visited. This includes the pets bedding, blankets, sheets, etc… You’ll also want to inspect your pets for ticks/fleas after being outside and consider a flea and tick control program. Even though ants are experts at overwintering, they will still try and enter your home during the winter months. This is because your home provides them with the three main things they need to survive and reproduce: warmth (shelter), food, and water. Different ants cause different problems. If you have carpenter ants on your hands, they can cause damage to the interior structure of your home. Whereas black ants will go straight to where the food is, the kitchen. 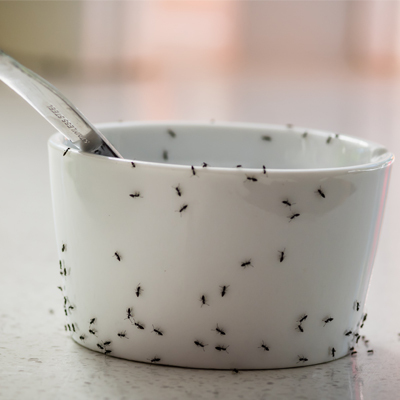 These ants can contaminate your food, so keeping them out is essential. Unlike the other pests, stink bugs do not cause damage to the structure of your home, nor do they cause diseases. They’re just annoying! If you find a stinkbug in your home, don’t crush it. They have glands between their legs, which emit a nasty odor when they’re crushed. Instead, gently catch and release it outside. If you’ve found any of these (or other) pests inside your home this winter, give us a call at (203) 230-9212. Our experts have developed a perimeter pest control program to keep you and your loved ones safe, by keeping these common household pests outside where they belong. Call us today!